Festivities, Pharaoh’s and Feluccas on Mövenpick Royal Lotus Nile Cruise in Egypt is the best way to describe this 5-day festive delight to include celebrating the New Year holiday along with exploring the mystical magical world of Ancient Egypt in Aswan and Luxor and cruising along the centuries-old River Nile on a voyage of discovery. 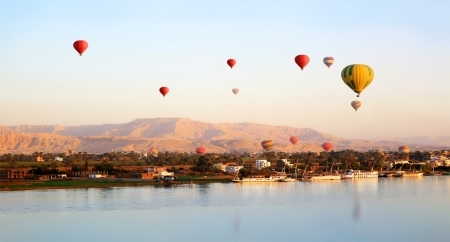 Time to see Luxor and the famous Valley of the Kings and Temples, then sailing along the Nile stopping off at temples en route before arriving in the colorful world of the Nubians in Aswan and all the sights. 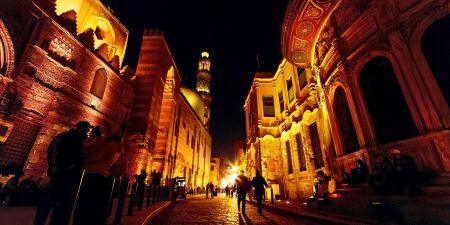 A once in a lifetime New Year break with a Gala Dinner and Party on board in Egypt. 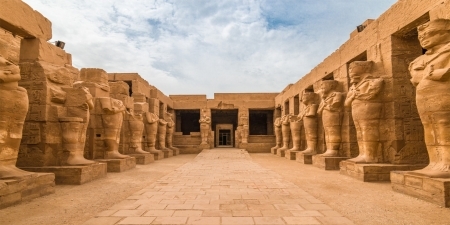 On this Egypt Nile Cruise tour, you will be met and assisted at Luxor Airport or Train Station by a Memphis Tours Representative and driven by air-conditioned vehicle to do your first tour on Luxor’s East Bank to Karnak Temple in all it’s magnificence and was the largest place of worship ever built. Its ancient name Ipet-isut means ‘The Most Sacred of Places’. The Temple or more correctly, the complex of Temples, was built over more than two thousand years ago by generation after generation of Pharaohs. Within the complex, the great ‘Hypostyle Hall’ is an incredible forest of giant pillars. Then you will be transferred to the majestic Luxor Temple which built by Amenhotep III and Ramses II for ritual and festivals and dedicated to the God Amun. 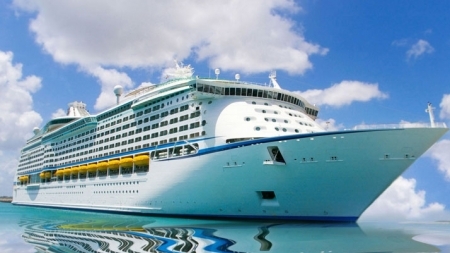 After the tour, you will check in on your Steigenberger Minerva Nile Cruise. Evening onboard with dinner and time to familiarise yourself with the Nile cruise and facilities. An early breakfast on the Nile Cruise Boat, then a guided tour of the West Bank in Luxor to visit the most famous site known as the Valley of the Kings (the Royal Cemetery to 62 Pharaohs) where the magnificent Tombs were discovered including the famous boy King Tutankhamun (included in your visit). These Tombs were carved deep into the desert rock, richly decorated and filled with treasures from the afterlife of the Pharaohs. 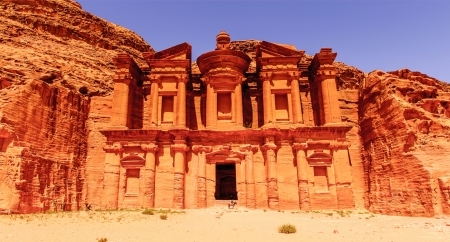 (The tombs visited are determined by the Egyptian Government as to preserve them from the large flow of visitors, therefore are rotated throughout the year and cannot be confirmed as to which tombs prior to your visit). A visit to the Temple of Madinat Habu then on to the two enormous and impressive Colossi of Memnon, the two colossal statues of Amenhotep III. Return back to your Cruise for lunch and sailing on to Esna with overnight at Esna. Breakfast on board your Nile Cruise then a visit with your Guide to Horus Temple, an inspiring Temple dedicated to the God Horus (falcon headed God) and one of the best preserved temples along the Nile. Back on board for sailing to Kom Ombo. On arrival, you will be taken on your guided tour of the Temple of Kom Ombo dedicated to the Crocodile God Sobek, God of Fertility and Creator of the World. The other side is dedicated to the Falcon God Haroeris, also known as Horus the Elder. After the tour, sailing to Aswan. Overnight in Aswan. After breakfast you will be escorted with your Tour Guide to visit the Aswan High Dam which was built in the 1960’s to provide the much needed electricity and irrigation for the country. Nubia, the area that was flooded, experienced the biggest and most thorough archaeological excavations that Egypt has ever known. Cross by boat to Angilika Island, to see the Temple of Isis at Philae which is one of the Nubian Temples rescued before the High Dam was built. Enjoy Philae’s long colonnades, towers and reliefs which include the last surviving hieroglyphic and demotic inscriptions in Egypt. 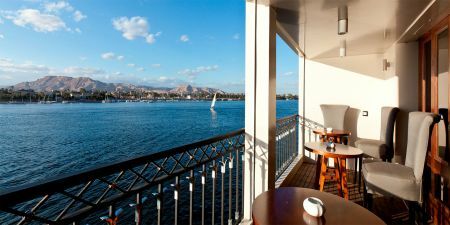 Back to your Nile Cruise for lunch onboard with time for relaxation.and overnight stay in Aswan.